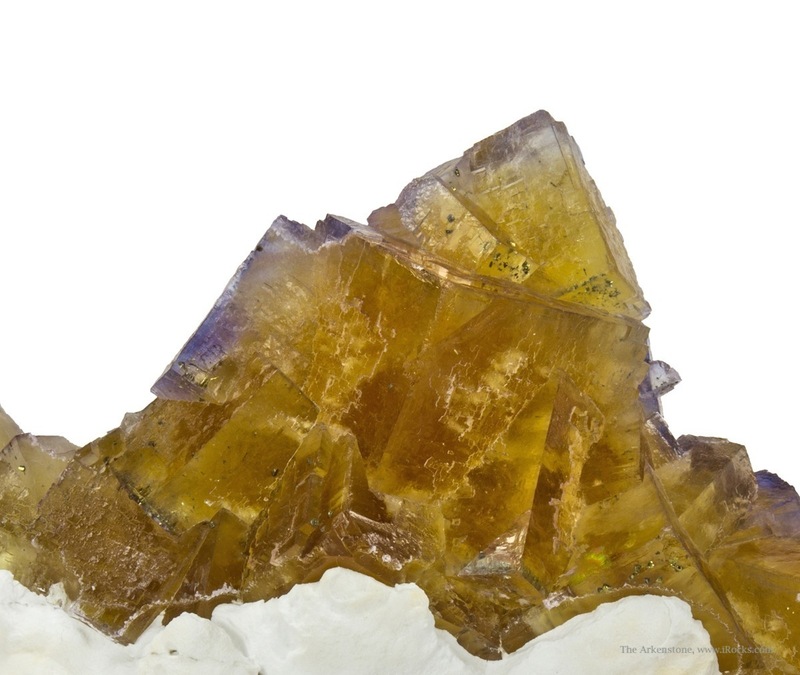 This is one of the few large and dramatic yellows we received in the collection. 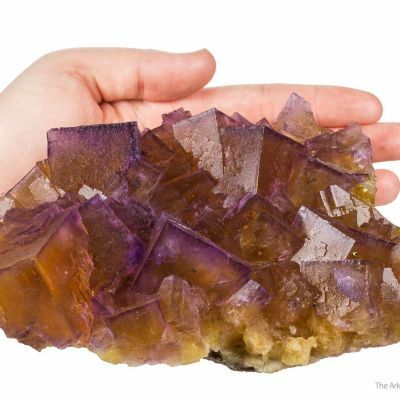 Such specimens are few and far between. 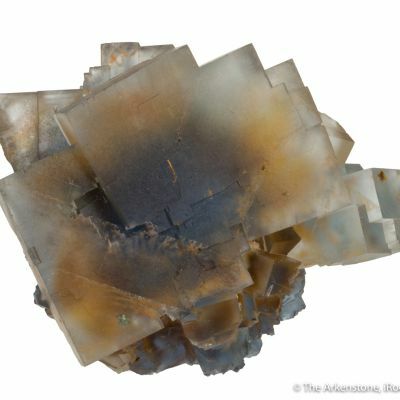 In this case, the contrasts are what make it a next-level specimen of the rare and unusual sort. 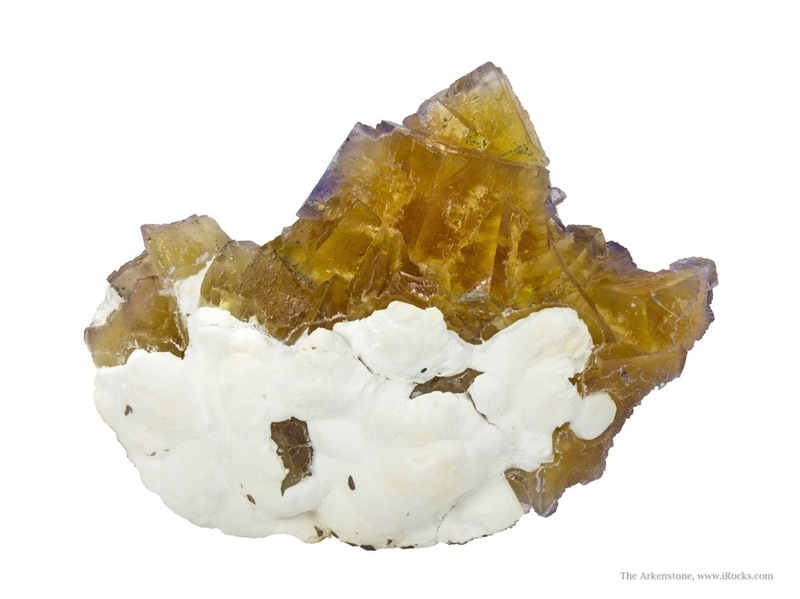 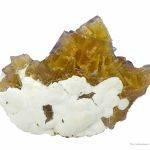 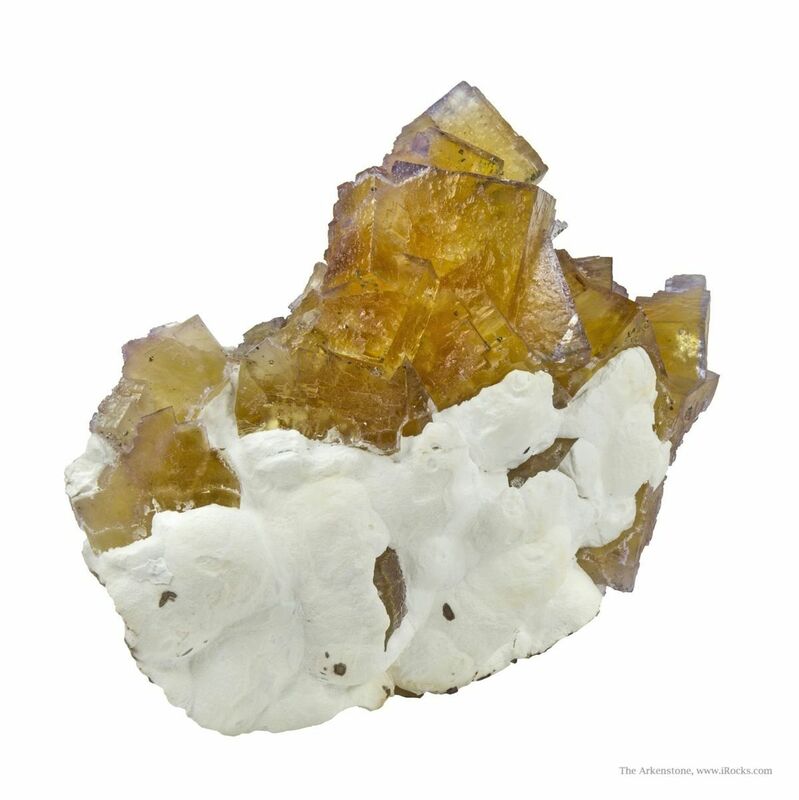 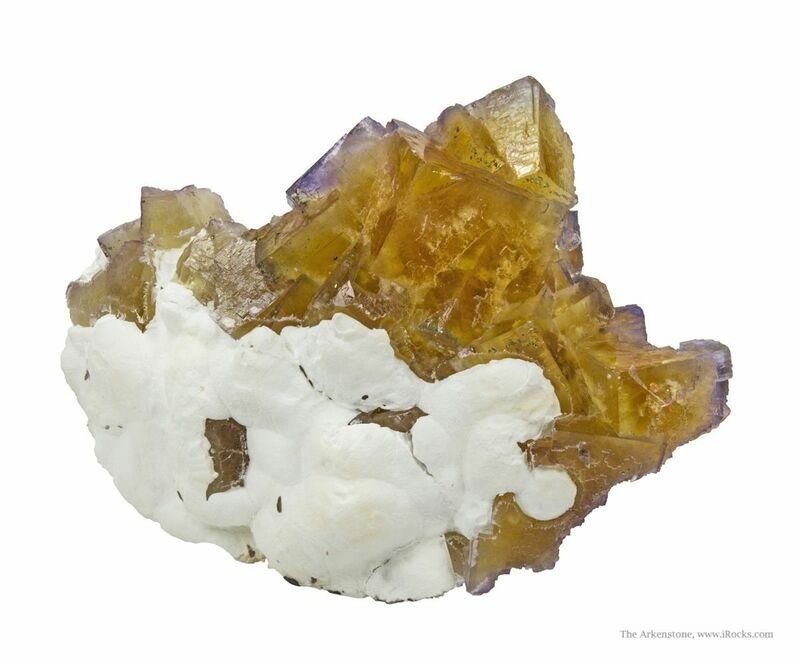 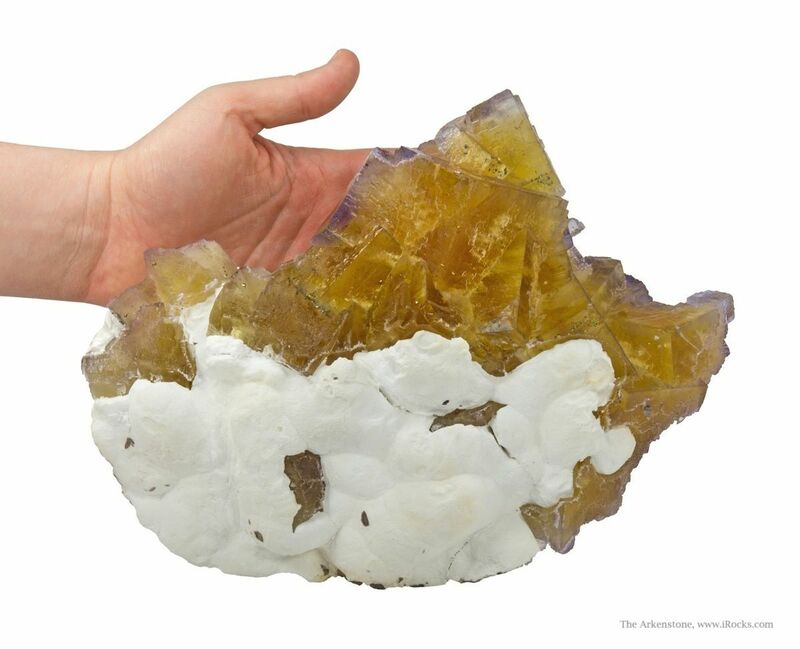 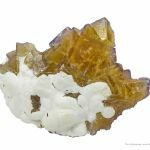 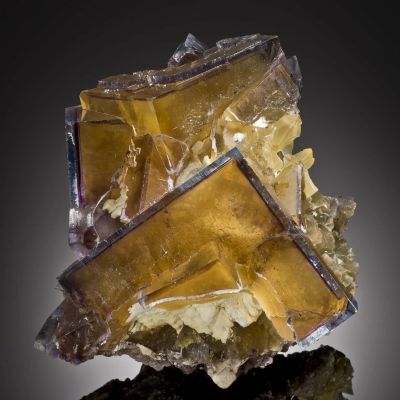 A large, intergrown plate of lustrous and translucent, light amber colored fluorite, to 5.5 cm across is partially covered by a hemispherical, opaque, white layer of Baryte. 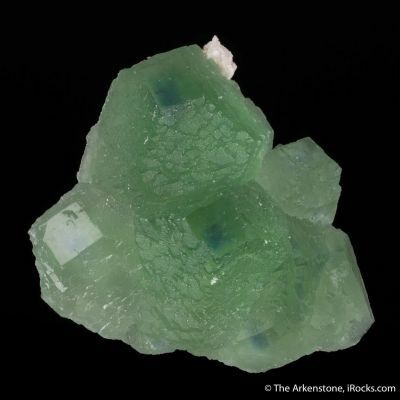 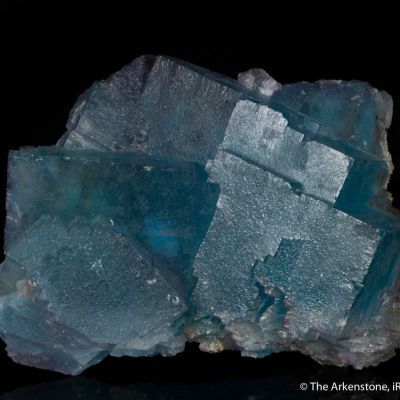 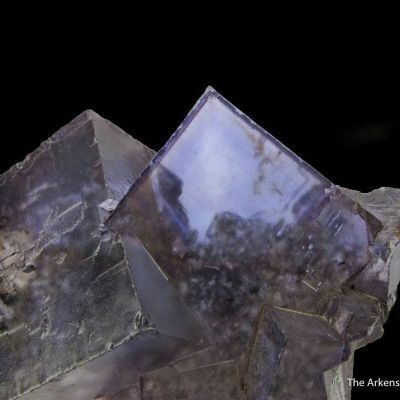 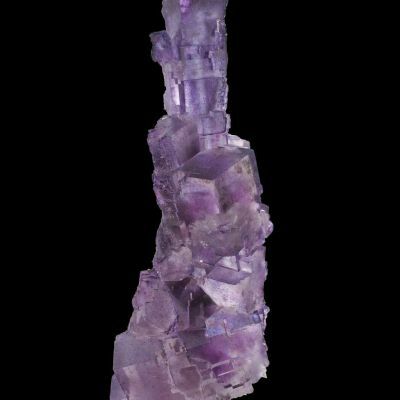 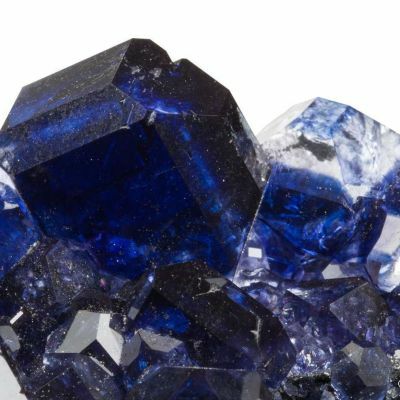 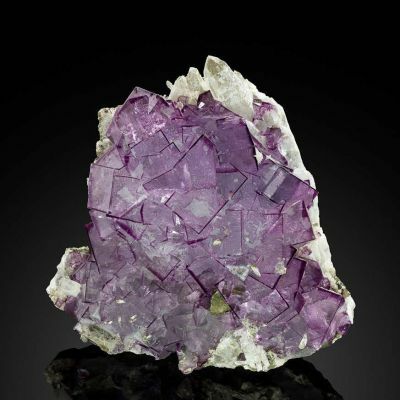 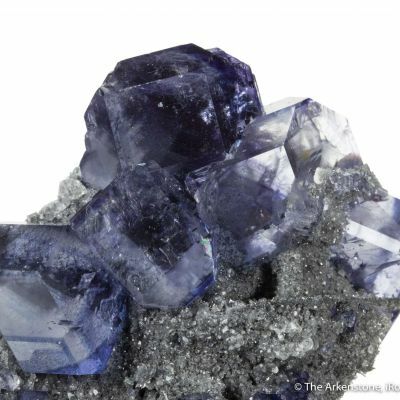 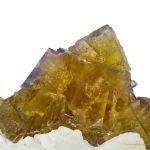 Each fluorite crystal exhibits a very thin purplish blue with color zoning at the terminations. 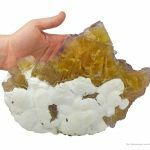 The contrasts set up by the sharp cubes vs the rolling white carpet are amazing visually, and the piece looks like it is being eaten alive by this white growth coming up from the bottom. 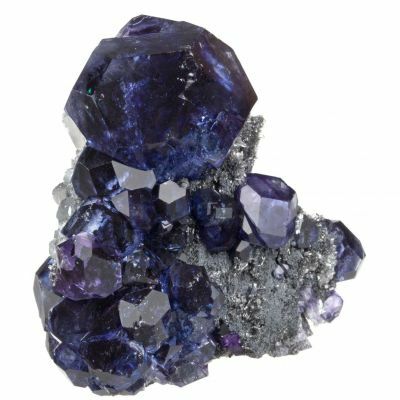 I have never seen such a large example of this combination, which is classic for the mine - albeit seen in much smaller specimens, usually. 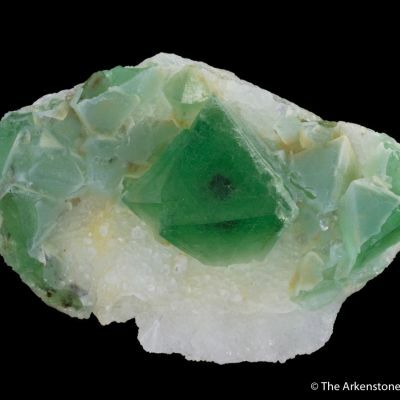 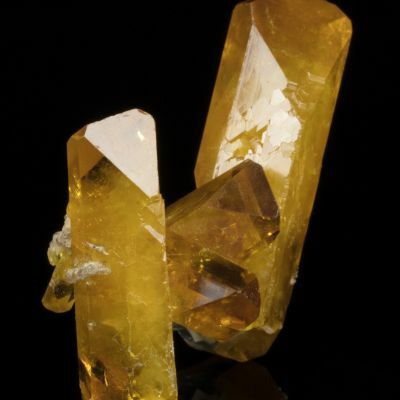 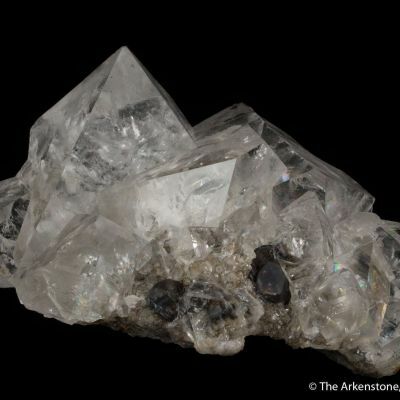 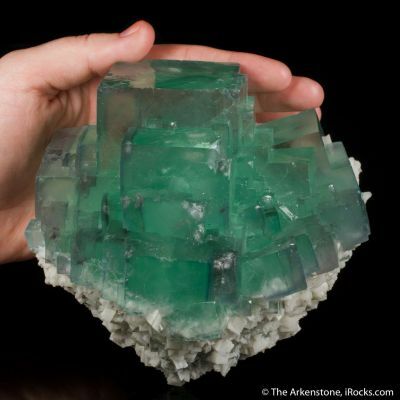 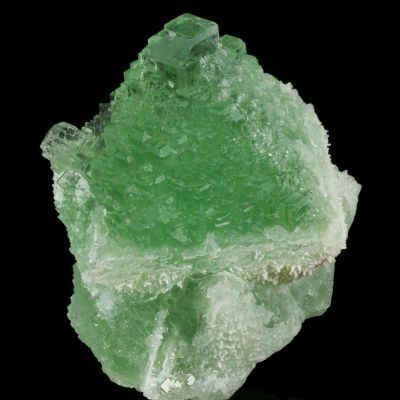 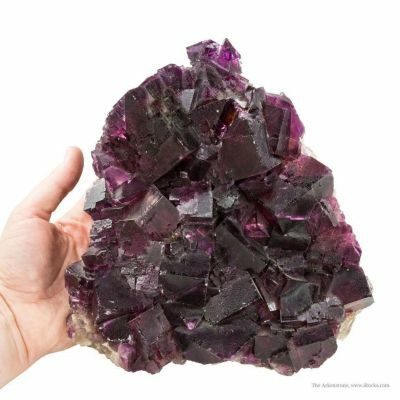 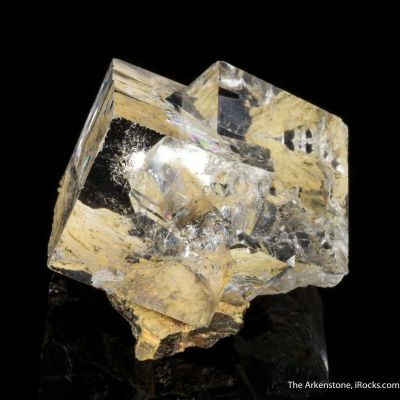 The large specimen weighs nearly 8 pounds and is almost, but not quite, free of damage (a small cleave in a middle crystal and some faint edge wear to the upper crystal, is all there is). 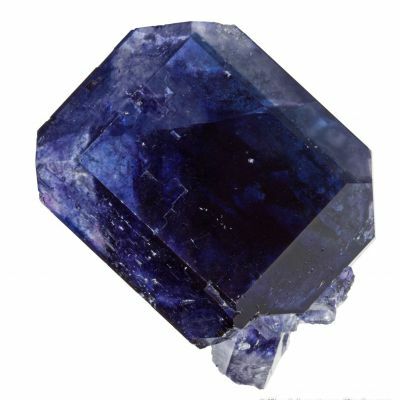 This is a major display specimen, and the color in your case will be more intense, if backlit. 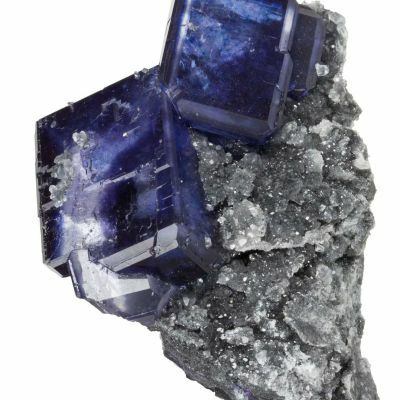 RCL 4401.